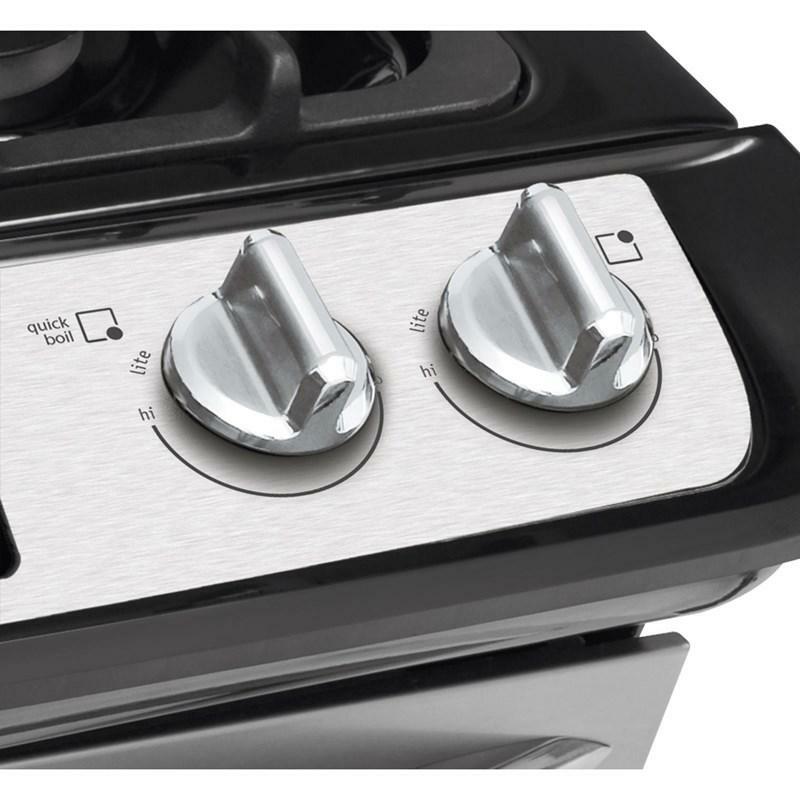 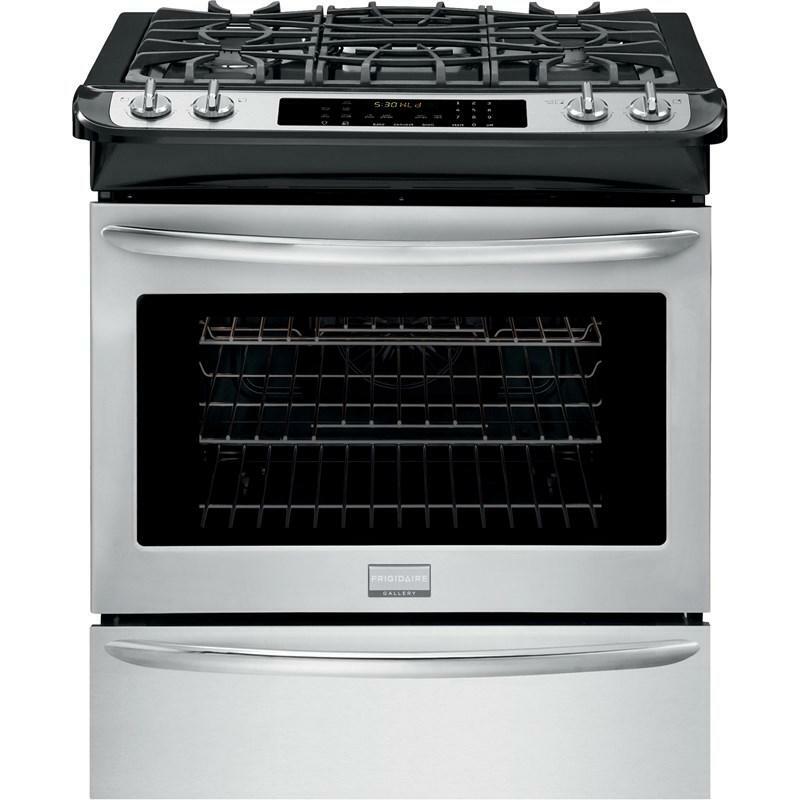 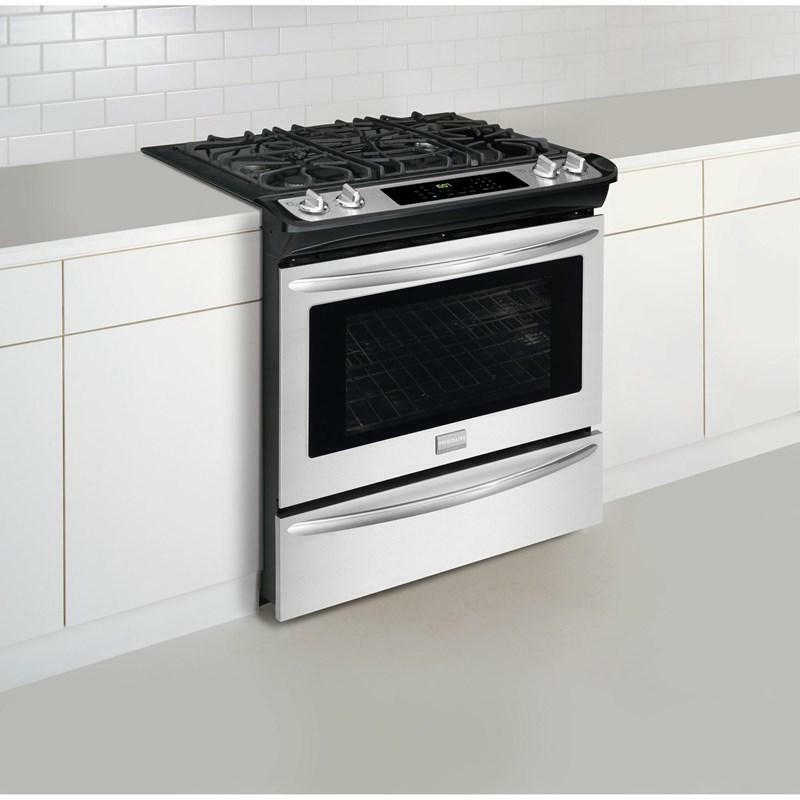 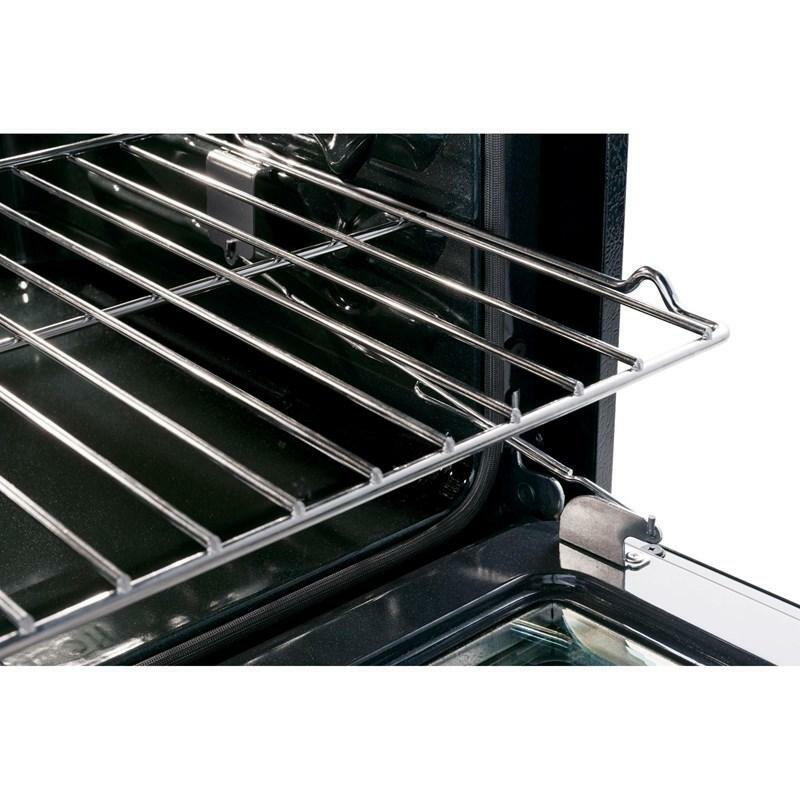 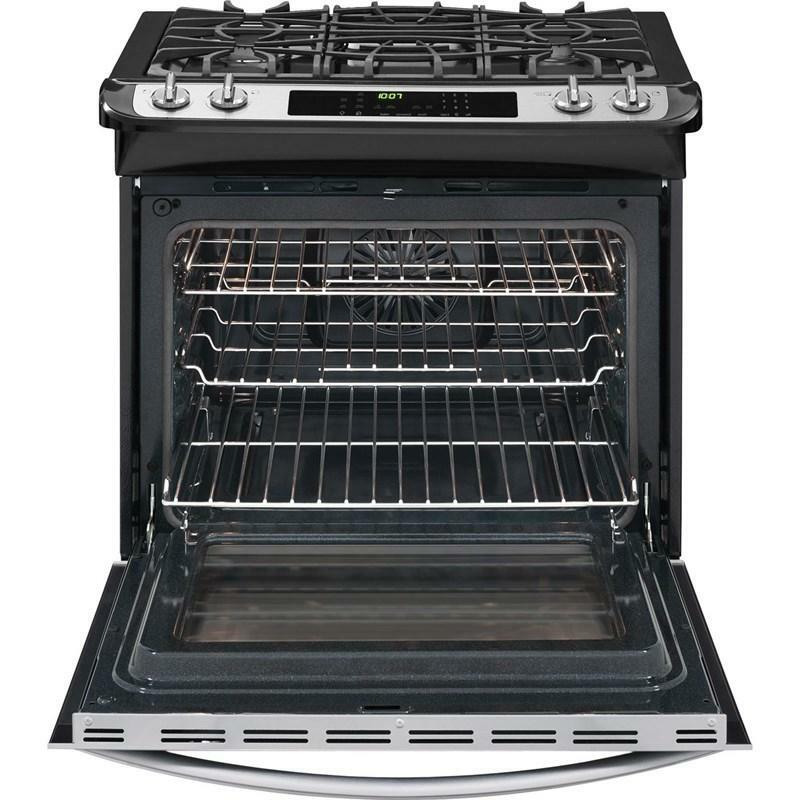 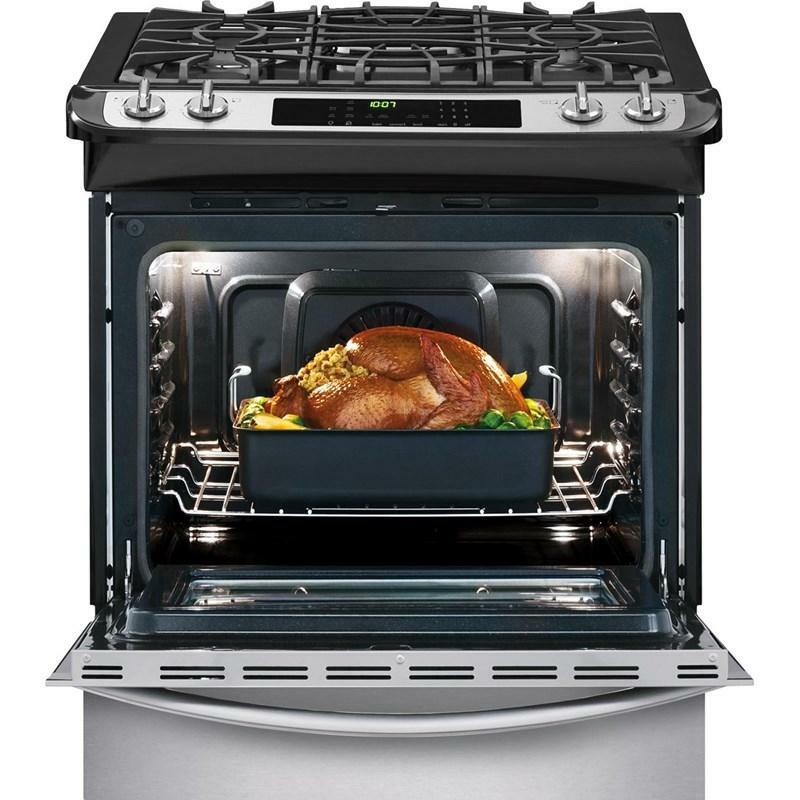 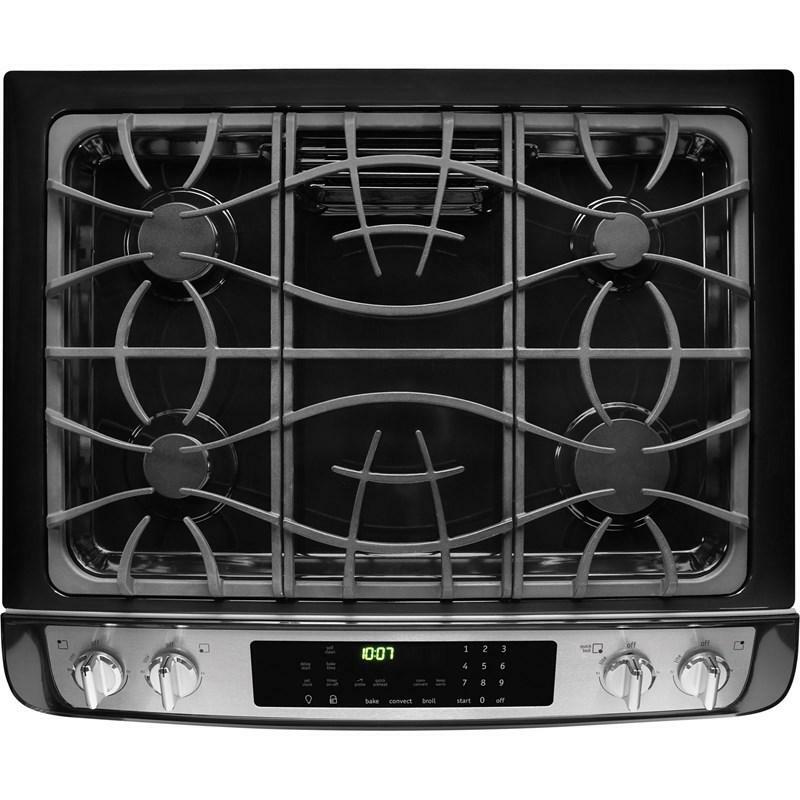 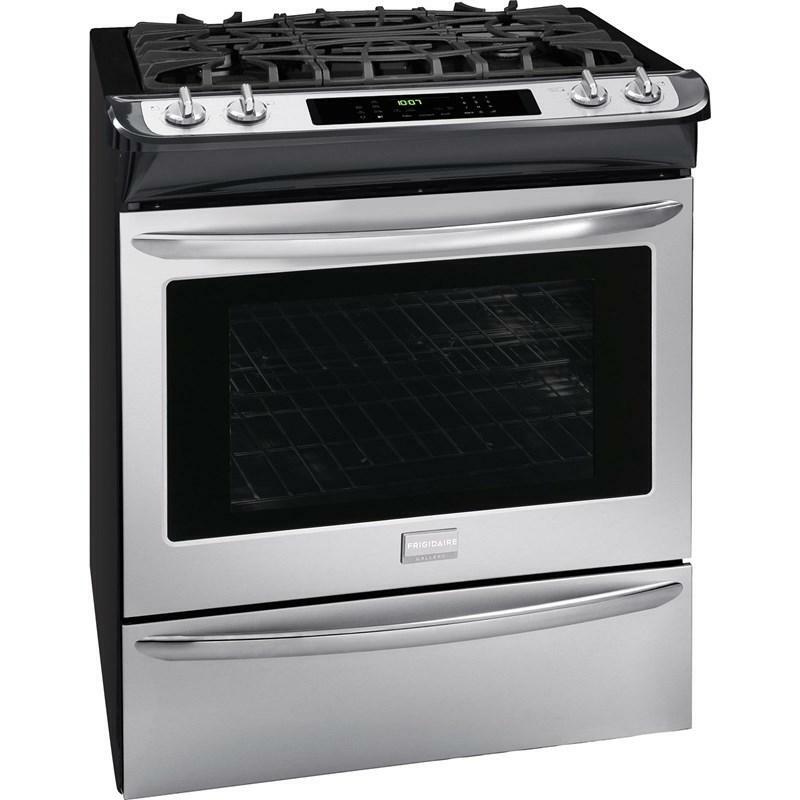 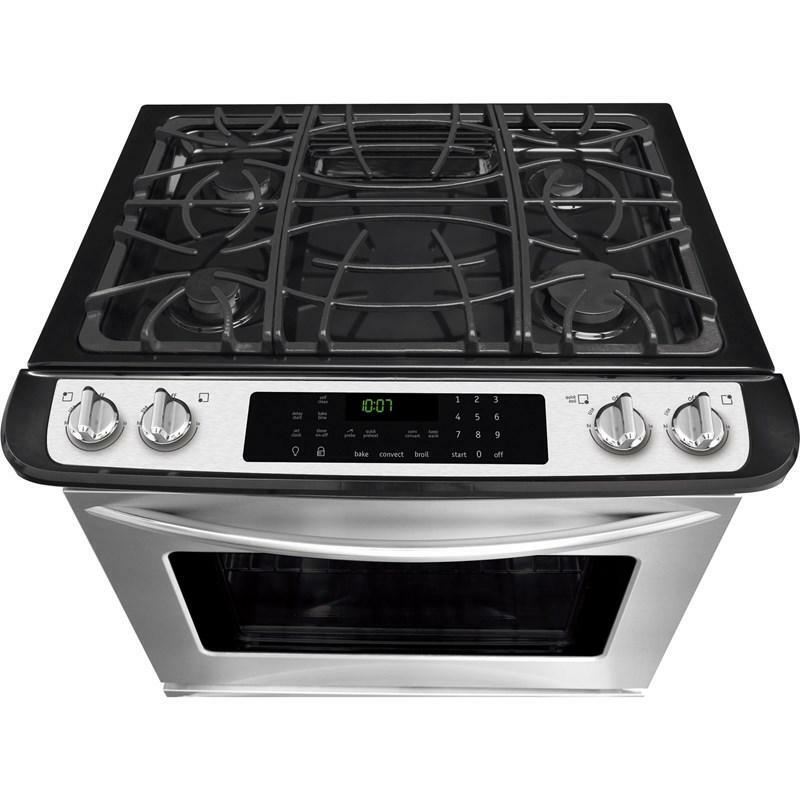 Frigidaire Gallery 30" slide-in gas range with true convection, quick boil, and quick preheat. 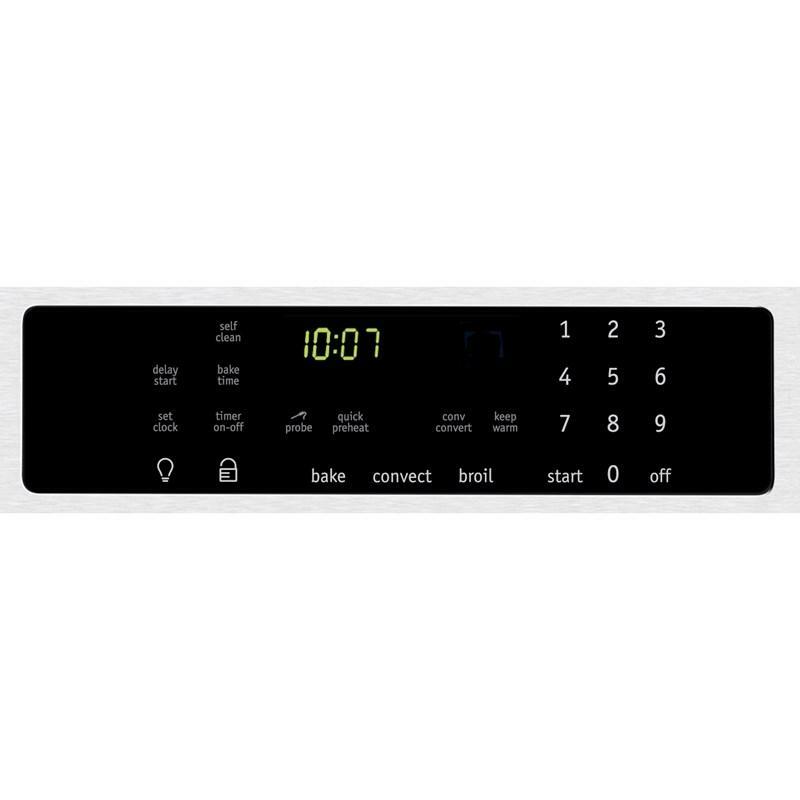 It features the Effortless temperature probe with auto keep warm that allows you to set the desired finished temperature and alerts you when that temperature has been reached. 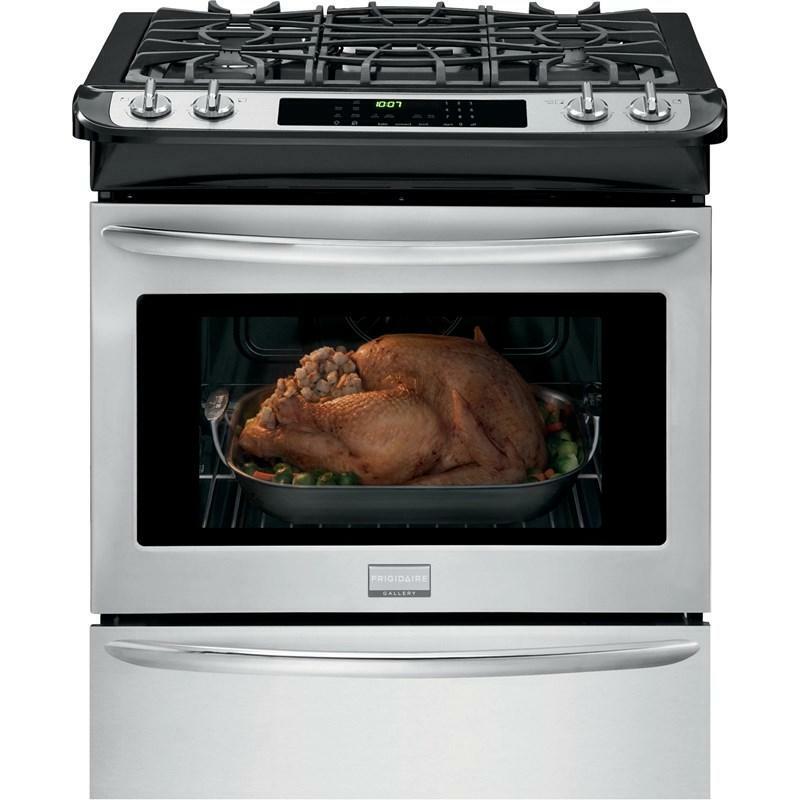 The oven then holds the desired temperature of the meat by switching to a keep warm function for better cooking results. 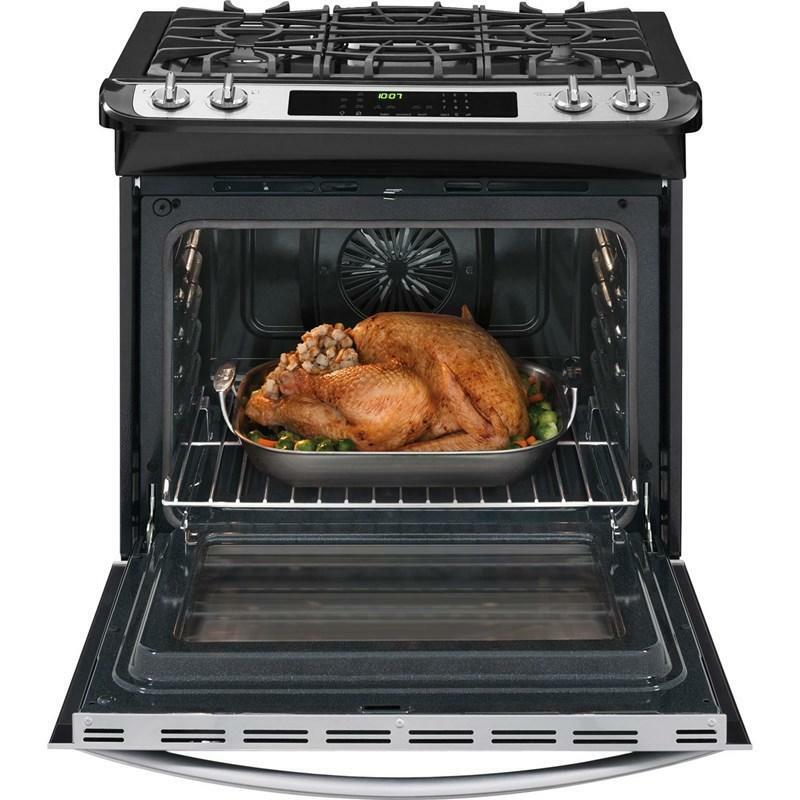 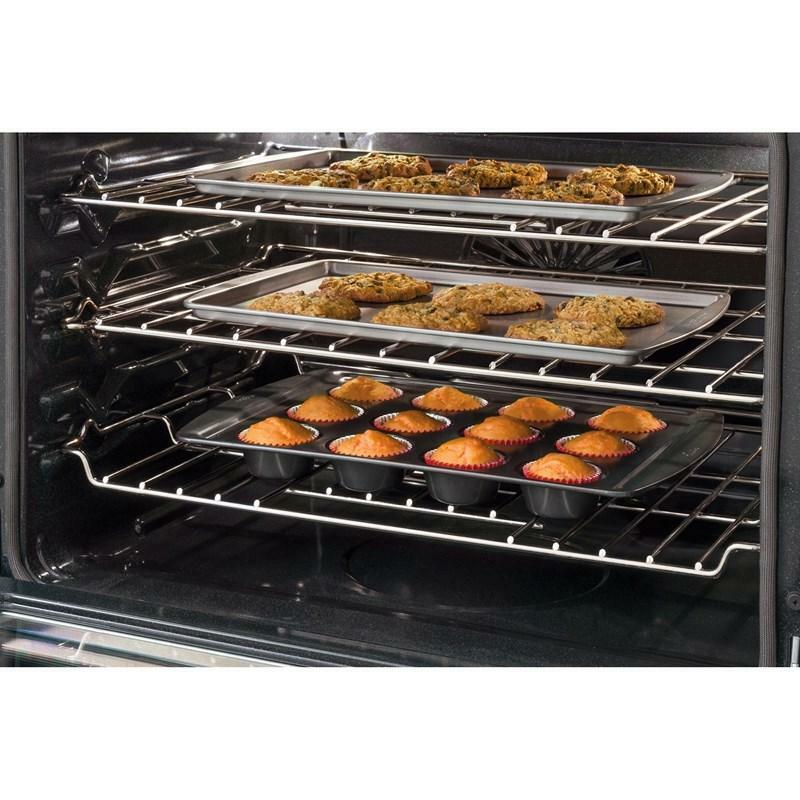 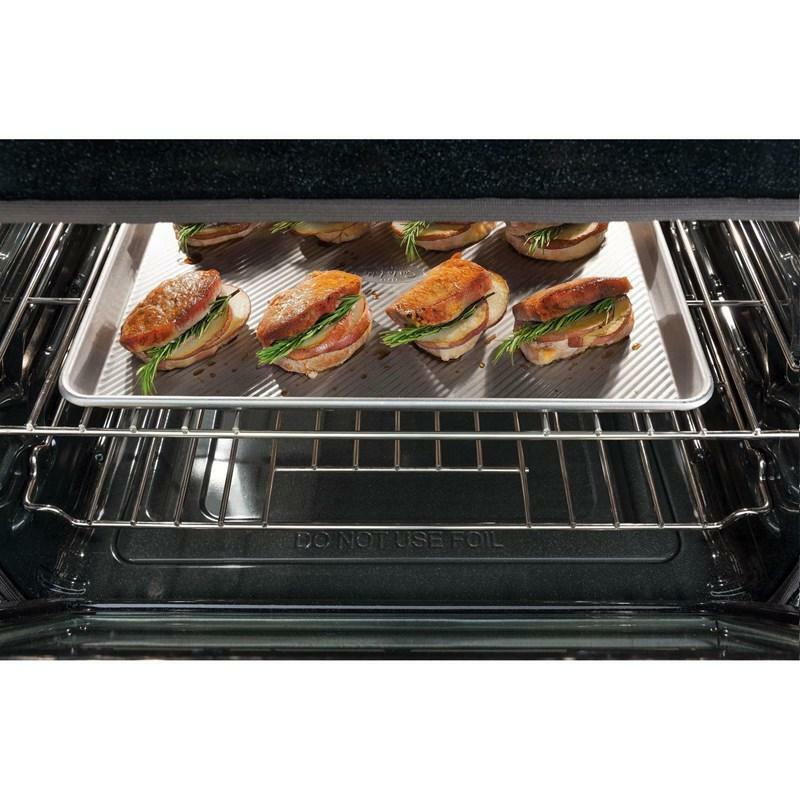 Additional Dimensions • Oven interior depth: 18-3/4"
• Oven interior height: 17-1/2"
• Oven interior width: 24-1/8"